Polar bear plungers in Long Beach charged to the water for the Long Beach Polar Bear Club’s annual Super Bowl Splash on Sunday to benefit the Make-A-Wish Foundation. 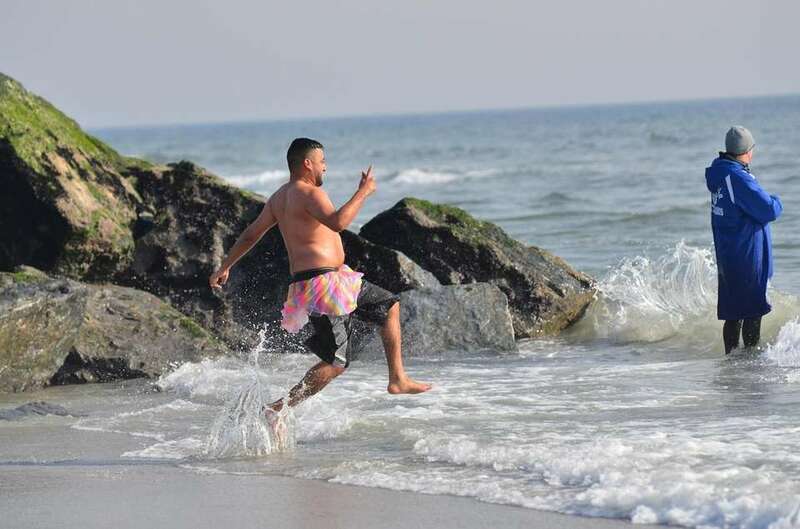 A polar plunger runs to the water at the Long Beach Polar Bear Club's Super Bowl Splash on Sunday at the Riverside Boulevard boardwalk in Long Beach. 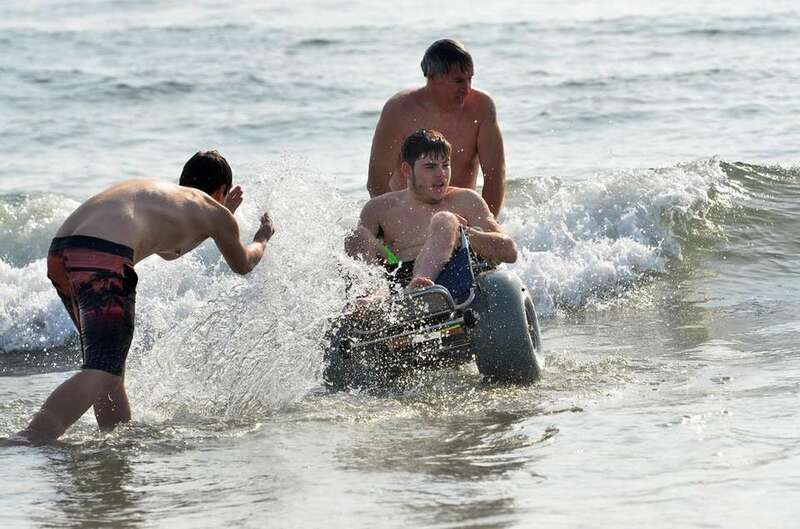 Robert Browne, 17, goes in the water in his wheelchair with his father Timothy Browne, of Long Beach, at the Long Beach Polar Bear Club's Super Bowl Splash on Sunday at the Riverside Boulevard boardwalk in Long Beach. 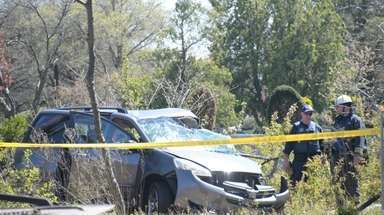 Robert was injured in a surfing accident in 2014. Polar plungers gather for the Long Beach Polar Bear Club's Super Bowl Splash on Sunday at the Riverside Boulevard boardwalk in Long Beach. 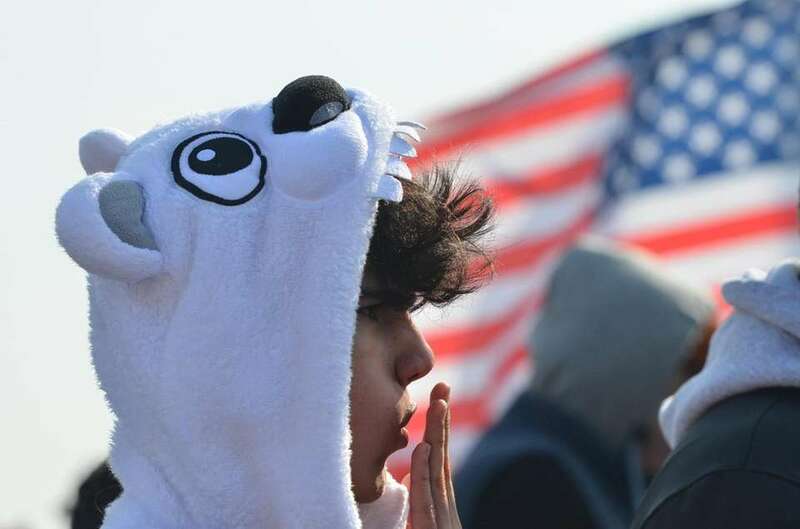 Hundreds gathered at the Long Beach Polar Bear Club's Super Bowl Splash on Sunday at the Riverside Boulevard boardwalk in Long Beach. Polar bear plungers dipped into the ocean at the Long Beach Polar Bear Club's Super Bowl Splash on Sunday at Riverside Boulevard boardwalk in Long Beach. 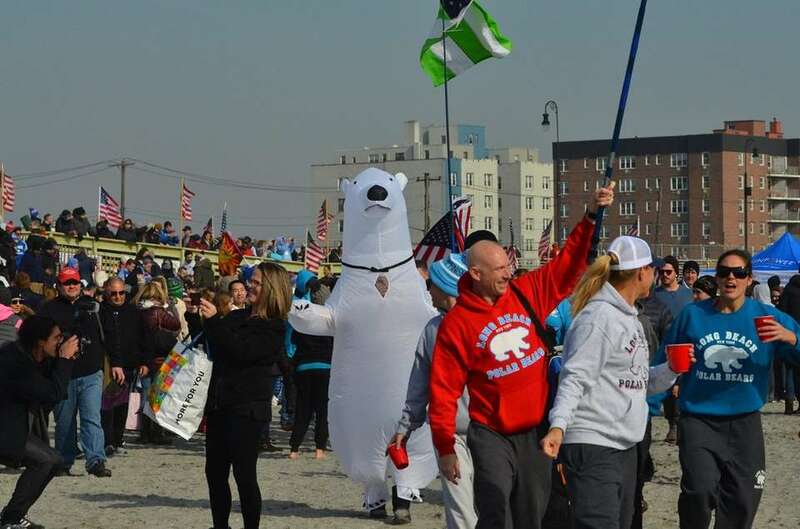 Plungers and spectators alike prepare for the Long Beach Polar Bear Club's Super Bowl Splash on Sunday at Riverside Boulevard boardwalk in Long Beach. Lila Sun, of Oceanside, Anna Sun, of Montreal, and Kim Sage of Staten Island, at Long Beach Polar Bear Club's Super Bowl Splash on Sunday at Riverside Boulevard boardwalk in Long Beach. Jack Fenech,12, of Shoreham, goes in for his fifth year at the Long Beach Polar Bear Club's Super Bowl Splash on Sunday at the Riverside Boulevard boardwalk in Long Beach. Polar bear plungers gathered at the Long Beach Polar Bear Club's Super Bowl Splash on Sunday at the Riverside Boulevard boardwalk in Long Beach. 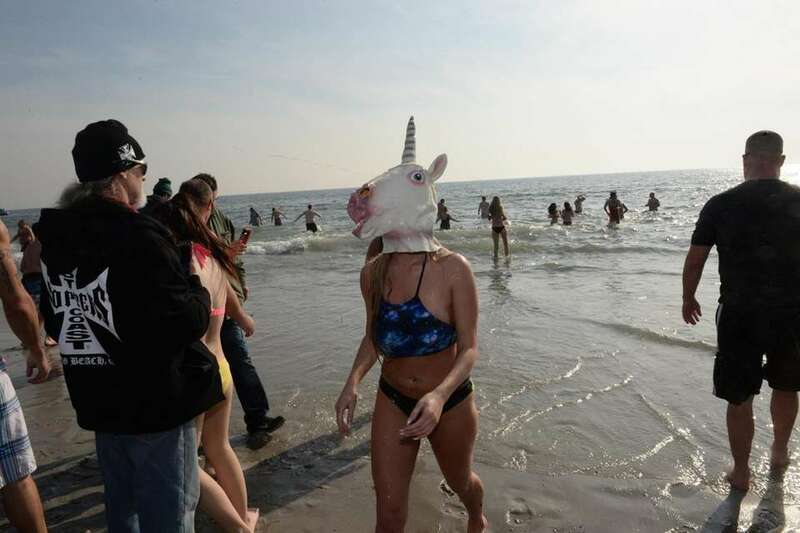 Plungers leave the water during the at the Long Beach Polar Bear Club's Super Bowl Splash on Sunday at the Riverside Boulevard boardwalk in Long Beach. 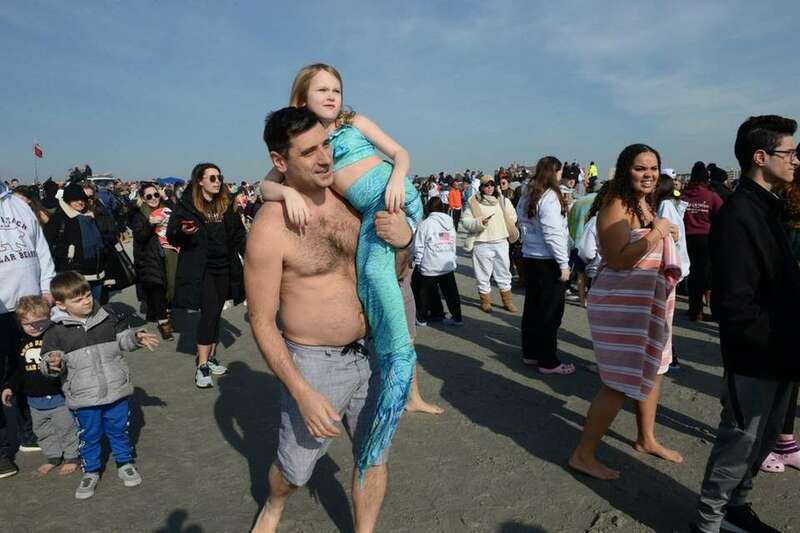 Minka Palazzolo, 6, heads to the water with her dad, Matthew, at the Long Beach Polar Bear Club's Super Bowl Splash on Sunday at the Riverside Boulevard boardwalk in Long Beach. 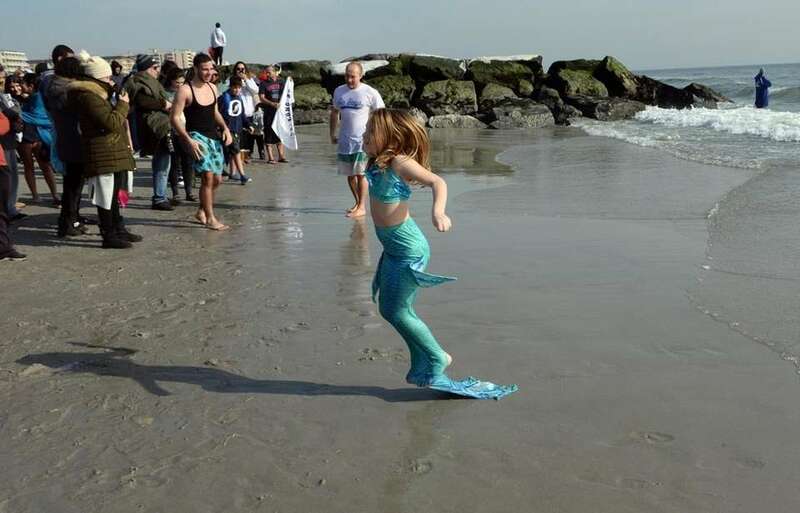 Minka Palazzolo, 6, jumps for joy after going in the water at the Long Beach Polar Bear Club's Super Bowl Splash on Sunday at the Riverside Boulevard boardwalk in Long Beach. 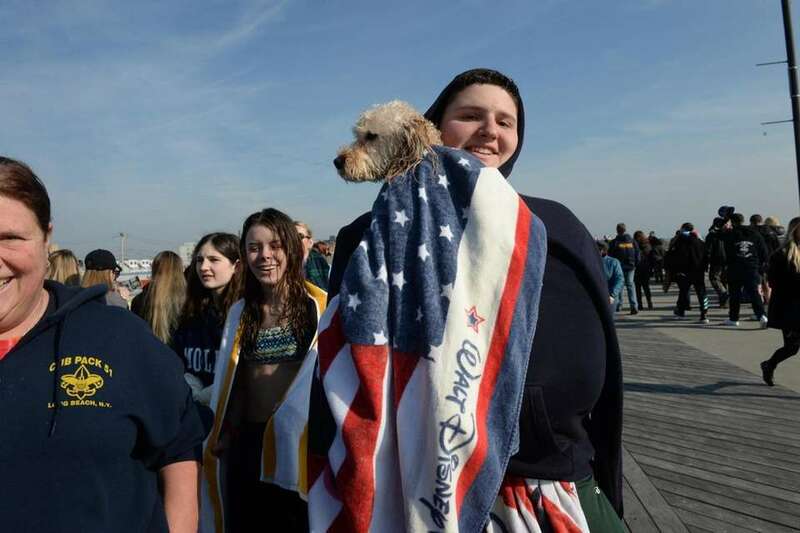 Justin Cornell,16, of Long Beach, keeps his dog named Peaches warm at the Long Beach Polar Bear Club's Super Bowl Splash on Sunday at the Riverside Boulevard boardwalk in Long Beach. 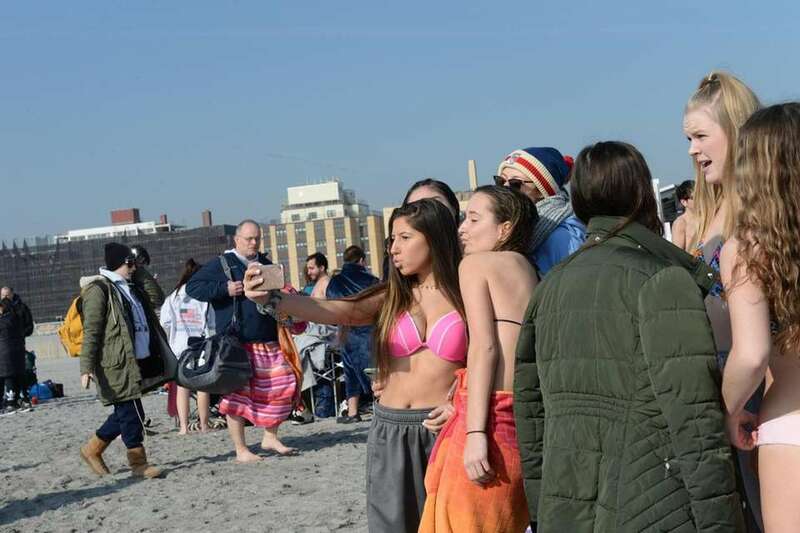 Polar plungers take selfies at the Long Beach Polar Bear Club's Super Bowl Splash on Sunday at the Riverside Boulevard boardwalk in Long Beach. 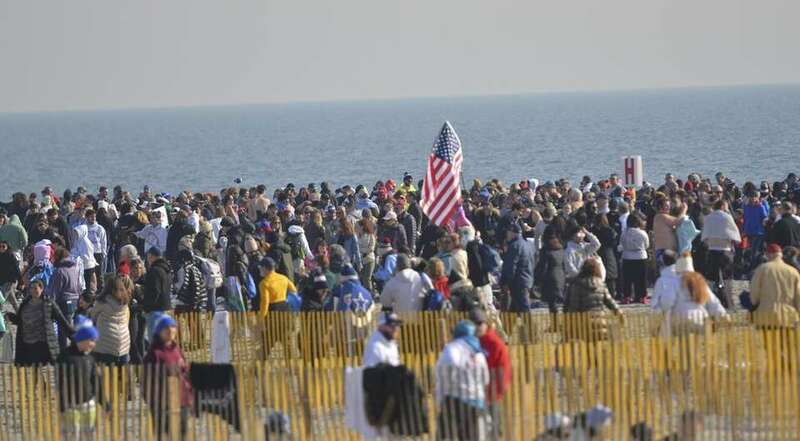 Hundreds gathered for the Long Beach Polar Bear Club's Super Bowl Splash on Sunday at the Riverside Boulevard boardwalk in Long Beach. 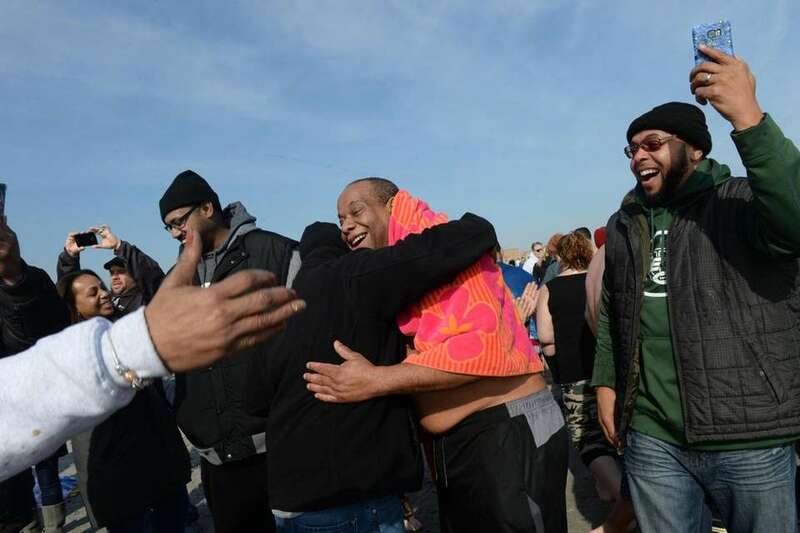 Bernard Eyssalenne, of Valley Stream, right, lost a bet of Fantasy Football and had to go into the water at the Long Beach Polar Bear Club's Super Bowl Splash on Sunday at the Riverside Boulevard boardwalk in Long Beach. 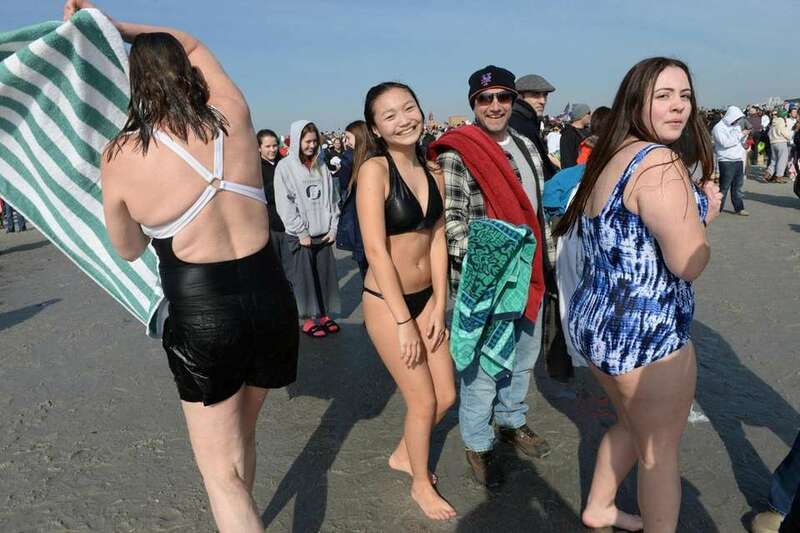 Bernard Eyssalenne, of Valley Stream, center, lost a bet of Fantasy Football and had to go into the water at the Long Beach Polar Bear Club's Super Bowl Splash on Sunday at the Riverside Boulevard boardwalk in Long Beach.